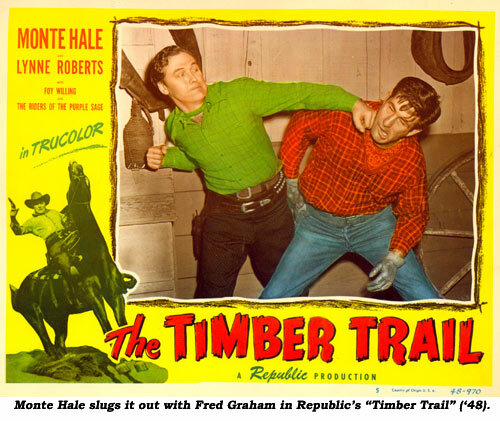 One of the greatest “fight” men ever in the film business was Fred Graham. His screen fights are legend amongst his peers and film buffs alike. Although, not always a perfect double for such stars as John Wayne, Clark Gable or Robert Taylor, because of different builds, Fred always managed a slug fest that kept actor and director alike completely satisfied. Born Charles ‘Fred’ Graham October 26, 1908 (not 1918 as is widely reported), baseball gave Fred his start in the motion picture business. Back in 1928 he worked for MGM in the sound department, while playing ball on the side for semi-professional teams. MGM made a baseball picture starring Robert Young, “Death On the Diamond”, in 1934 for which Fred was hired to tutor Young in the finer points of the game. Fred also doubled for actor Nat Pendleton in the catching scenes, thus beginning his stunt career. Fred stayed at MGM several years doubling the aforementioned Gable (“Mutiny On the Bounty”), Nelson Eddy (“Rosemarie”) and Charles Bickford (“The Storm” at Universal). In 1938 Fred moved over to Warner Bros. becoming a staff stuntman for them. His first assignment was “Robin Hood” where he doubled for Basil Rathbone, and on his first job at his new studio, broke an ankle jumping off a battlement. He was part of the classic barroom brawl in Errol Flynn’s “Dodge City” and did work in “Roaring ‘20s” and “Valley of the Giants”. Work at Paramount (“Reap the Wild Wind”) and other studios followed. 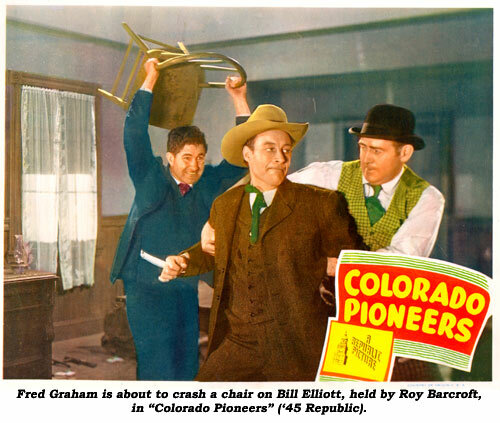 He doubled Harry Woods in Universal’s “Winners of the West” serial in ‘40. 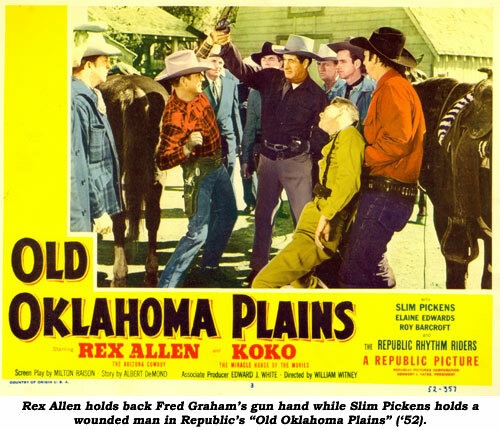 Fred did A-films in the ‘40s as well…“Buffalo Bill”, “Murder My Sweet”, “Dakota”, “Fort Apache”, “Wake of the Red Witch”, “Asphalt Jungle”, “She Wore A Yellow Ribbon”. He was involved in the classic fight from “Seven Sinners” (‘40) with his friend John Wayne. 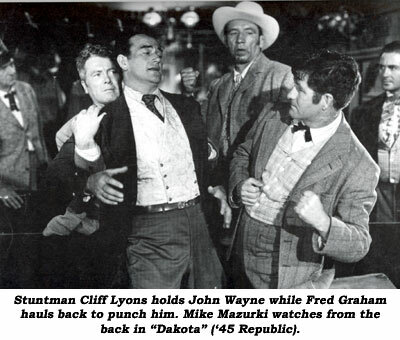 He began doubling for Wayne in ‘42 despite the marked difference in size between the two men. During the ‘50s, Fred’s work was in evidence in “Dallas”, “Samson and Delilah”, “Rear Window”, “20,000 Leagues Under the Sea”, “Seven Men From Now”, “Badman’s Country”, “Giant Gila Monster”, “Horse Soldiers”, “Rio Bravo”, “Seven Ways From Sundown”, “North To Alaska” and “Arizona Raiders”. After nearly 40 years in the stunt and acting profession, Fred moved to Arizona in the ‘60s and did more to encourage film location work in that state than almost anyone. Fred kept active til the end in parts on films shot around Phoenix and Scottsdale. I had the privilege of working with Fred on one of his last jobs. We were doing “Guns of A Stranger” starring Marty Robbins and Chill Wills at Apacheland east of Phoenix. 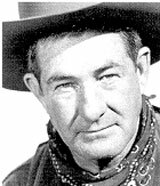 Fred did a role as the Sheriff for the film.